This Cost Conversations in Healthcare conference I was invited to address, put on by dedicated people from the ABIM Foundation, Robert Wood Johnson, and Costs of Care, has been fascinating. Just being in the room where it happens, the room filled with smart people who are bent on making it happen, was worth coming down to Philly for. It turns out medical professionals and other smart folks with resources really are trying to shift the status quo. They’re even making progress. Some of the change-in-progress I’ve been able to see first-hand. Check this out, for example. There are very often affordable alternatives to brand-name drugs, and something as simple as a laminated reminder can help a doctor make sure that her patient actually ends up filling a prescription — and then getting better. Clear Health Costs is another innovation I was able to see demoed. 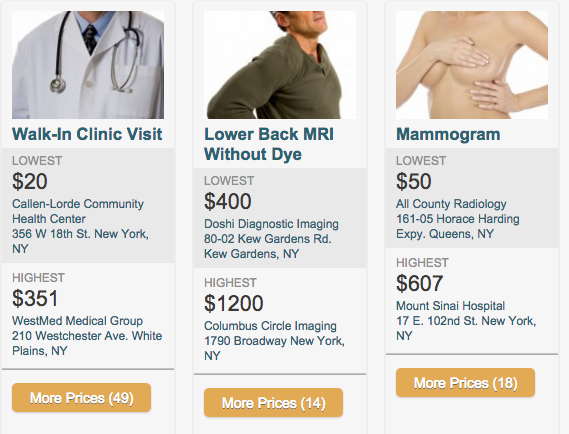 Acting on one of those ideas that’s so good it seems obvious in retrospect, it crowd-sources information from patients so that prospective patients can see the immense variability in price for the same procedure. Then there’s Dr. Neel Shah, founder of Costs of Care, who first invited me to join in on the fun and who is probably the next Atul Gawande. I can’t wait to see what he accomplishes next. Thank you for your efforts, benevolent geniuses! It makes me feel better about the world to know you’re in it.